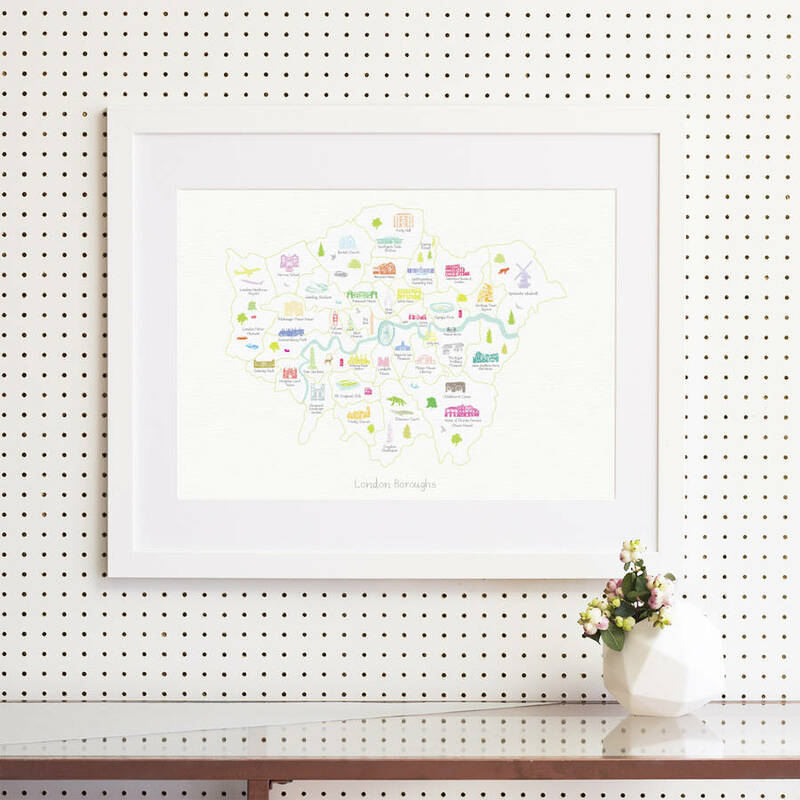 Illustrated art print showing a ‘Map of the London Boroughs’ created from an original drawing by Holly Francesca. It’s an ideal feature for any setting within the home or workplace. This print would also make a thoughtful gift. Designs are created from my own, original hand drawings and lots of research. I hope you like what I have included? You can choose to have prints framed or unframed. Frames are available in white, black or lightwood. Framed A3 & A2 prints come with a white mount, framed A1 prints are unmounted. Frames are made in England. 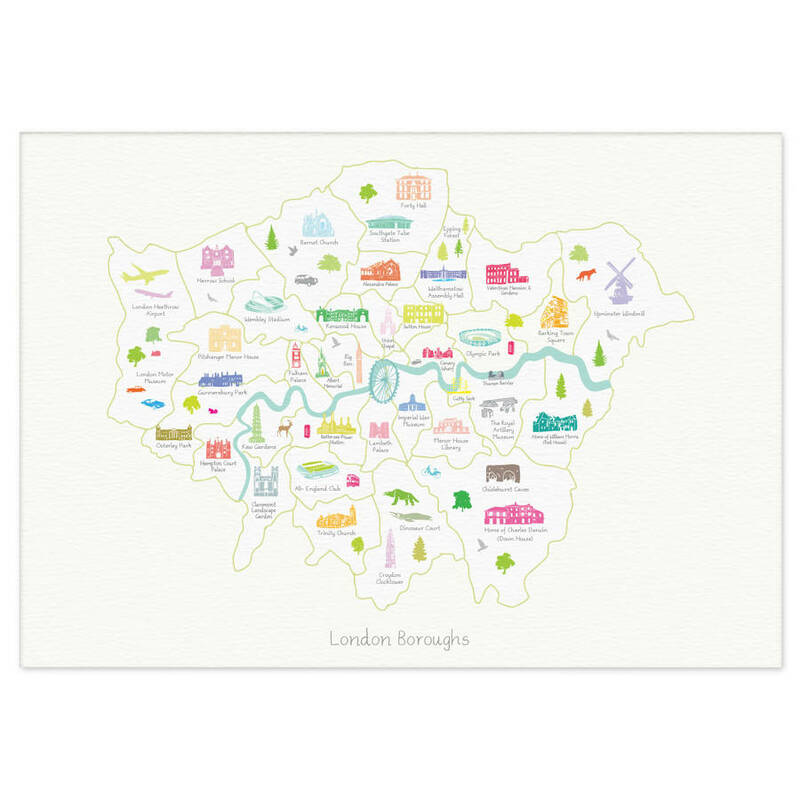 Unframed prints are sent via Royal Mail 1st class recorded delivery and are usually dispatched within 2 days. 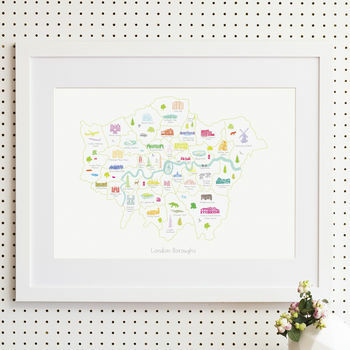 Framed prints are sent via courier service. All framing is done to order and will be dispatched within 4-6 working days. 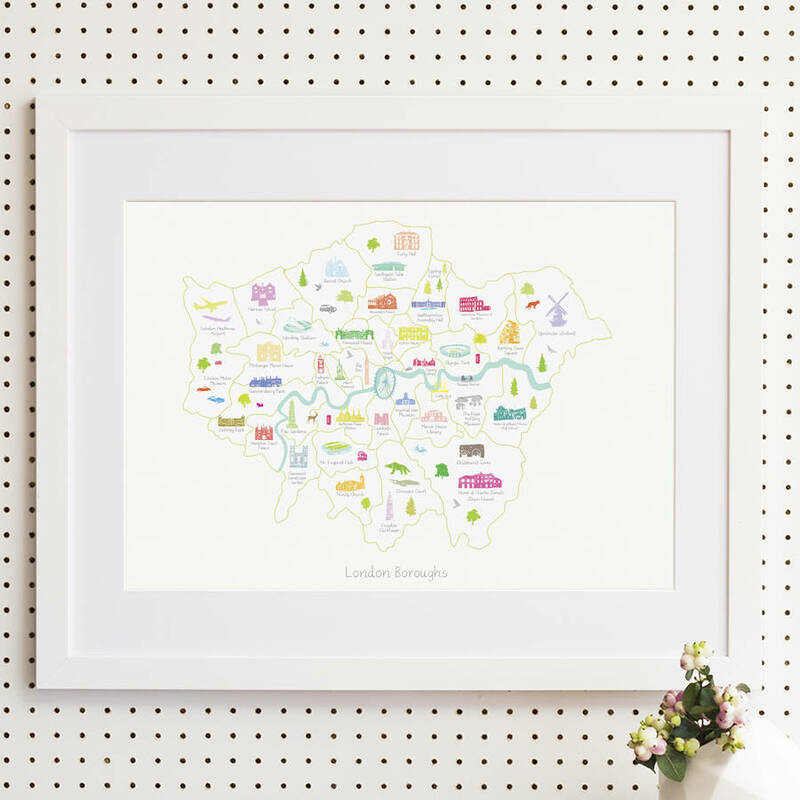 All art prints and frames are made in the UK. This product is dispatched to you by Holly Francesca.